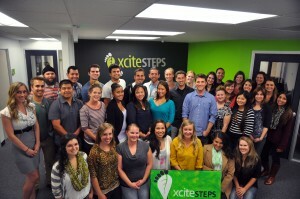 Xcite Steps is a growing and innovative company in San Diego that provides unique career opportunities for motivated professionals working with Autism Spectrum Disorder. Working at Xcite Steps means being part of a collaborative team of professionals from a diverse background of experience and education, that provides the highest quality of care to children and teens throughout San Diego County. Joining our team at Xcite Steps means being a part of the most highly recognized mental health provider in the field of Autism Spectrum Disorder. Xcite Steps has a pristine reputation, and is regarded as one of the best providers in San Diego County for ABA services. Our reputation is a direct reflection of our highly qualified staff, and you can be a part of that! It is Xcite Step’s top priority to ensure our staff have extensive training and experience, and are among the highest qualified and best trained in the field. Xcite Steps also offers competitive pay, paid drive-time, and free, intensive, on-going training in the field of Applied Behavioral Analysis and other behavioral health applications. Every staff member at Xcite Steps must complete an intensive 3-day training, as well as participate in on-going continuing education to ensure our staff are always providing the most cutting-edge treatment. Xcite Steps provides the opportunity to further your education and knowledge in the field of Autism Spectrum Disorder treatment and Applied Behavioral Analysis, and to train with the best in the field. Our Directors and ABA Supervisors come from all across the country, and come from various backgrounds to provide the most well-rounded training and on-the-job experience.